Following the British withdrawal in 1971, the Gulf Region entered a heady period of political restructuring, awash with oil money that helped fund national aspirations. Infrastructure investment became a central part of the region's nation-building initiatives and fueled strong competition. Without its neighbours' oil fields, infrastructure and territorial development became particularly vital to Dubai. 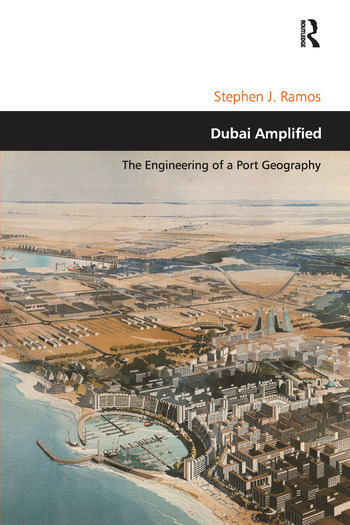 This book provides a unique and detailed understanding of Dubai urbanism by demonstrating that cumulative programmatic intensification and scalar amplification of its large-scale infrastructural components guided its metropolitan growth and generated a territorial organization logic that outstripped the predictive capacity of traditional Western master planning. Dubai’s rapid series of infrastructural projects culminated in the Jebel Ali Port, Industrial Area, and Free Zone, which marked a definitive "before and after" point. The book shows how Jebel Ali also became the template for subsequent developments, Dubai World Holdings Company's international aspirations, and the agencies that manage and regulate Dubai's large-scale infrastructural projects today. Dubai Amplified highlights the cycle of typological borrowing, prototypical replication, and scalar amplification, specifically in Dubai's infrastructure projects, to best describe its general territorial development. While infrastructure is traditionally understood as the elemental "hardware" that undergirds urban development, the book concludes by arguing that the definition should be expanded in this case as more of a set of objects, networks, and services that cities can selectively borrow, replicate, and amplify.